Safety shoes and ergonomics… Safety shoes should always be ergonomic, it is important! If your safety shoes are comfortable, safe and durable, it’s thanks to the work of thousands of people who, since the beginning of the history of these shoes have been working to come up with always new ideas and to develop regulations, in order to have better and better products. As regards work, the term “ergonomics” has an important role in the maintenance of the optimum working conditions, working methods and workspaces, with the scope of protecting employees from accidents and health problems, and from the difficulties they can cause. The legislation about ergonomics mentions various disorders of the musculoskeletal system as a common cause of incapacity for work and of numerous health problems. Most disorders of the musculoskeletal system affect mainly the joints and the spine. Among other factors, such conditions are related to the type of movements and activities that are carried out, the weights that are lifted, the posture and the fatigue level at work. Those factors are directly connected to the kind of job one has. To avoid unpleasant consequences, one should first of all adapt the working methods, the workspaces and the working conditions. That is all part of the scientific discipline that studies the problems of human work in relation to work environments and to the use of machinery. In those workplaces where the use of protective clothing is required, too little importance is still given to safety shoes, which actually have a great influence on the whole body. Some studies show how the design and the characteristics of safety shoes greatly influence many parts of the body, including the joints and even the posture. Consequently, good ergonomic safety shoes can distribute the weight uniformly on the different areas. The lack of supports and serious fatigue can lead to severe pain on the feet. Since the bones, joints, tendons, ligaments and muscles are all connected to each other, most of the problems that commonly take place in the area of the vertebral column can affect the feet too. Other possible negative consequences include bad wrong posture of the feet, such as plantar fasciitis and flat feet and so on. Those conditions can cause an uneven weight distribution, which is particularly bad if you stand for long hours during work. Besides, other problems can cause an uneven distribution of the weight on the joints and muscles too, leading to other types of crippling diseases. MY ADVICE: you should check carefully the insoles of the shoes you are interested in. 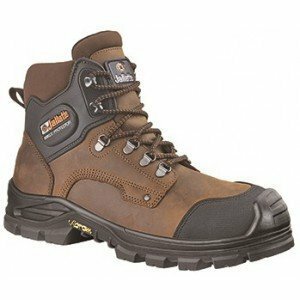 Why don’t you buy a new and better pair of safety shoes right now? The shape and the characteristics of the sole can influence the weight distribution on the joints. The body weight is greater where the sole gives the feet less support. Further supporting elements are generally built in the shoes. For instance, a good insole can correct bones misalignments and reduce the movement of the foot, in order to prevent foot and spine injuries. 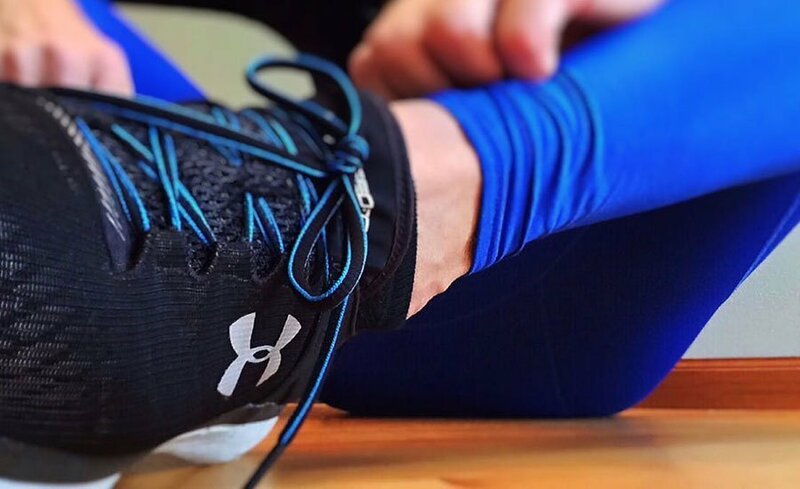 Over-pronation can be reduced in order to avoid excessive strain, thanks to medial supports that are attached to the inner side of the shoe in some models. 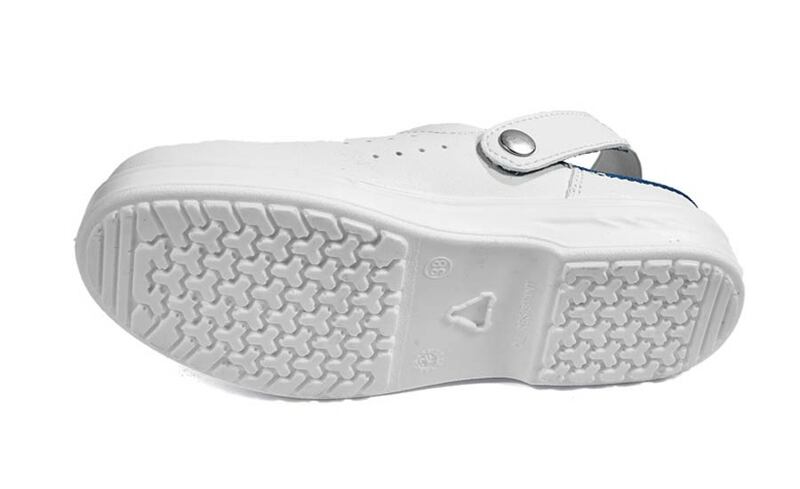 Special protections against excessive torsion are quite common in the metatarsal area: such supports limit the freedom movement of the feet, in order to prevent sprains. 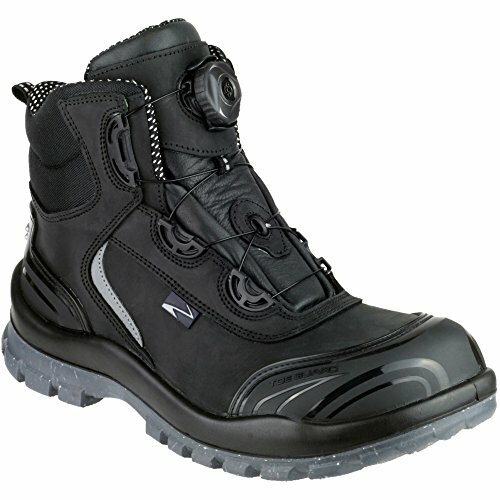 Nowadays many models of safety footwear have an ergonomic design. 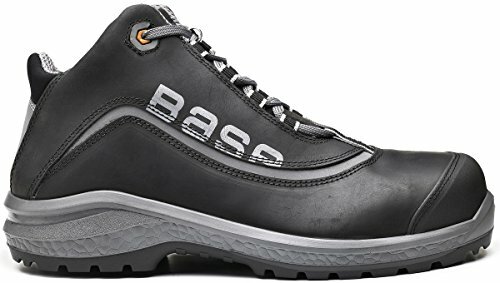 In some models of safety shoes the sole has anti-torsion stability (optimized for the average foot), flexible grooved soles to allow the foot to bend and a point of rotation to allow the front part of the foot to rotate. As a whole, the characteristics of most soles allow for a natural movement of the foot while avoiding unnatural ones, so preventing injuries. Even without help the body can, to some extent, absorb shocks and forces exerted on the joints and the spine, which can be problematic especially when you stand for hours. This is possible thanks to layers of subcutaneous fat. The soles of many models of safety shoes can absorb most of those energies, saving the body such stress. The higher the shock absorption of the soles, the lower is the energy consumption of the muscles. This also applies to the joints and the spine. A high level of shock absorption is obtained using low-density materials such as injection-molded polyurethane or EVA, and multi-layer soles. EVA is commonly used for sport shoes, sometimes with the addition of gel or air pockets. Shock-absorbing soles are also often used for safety shoes, depending on their intended use. MY ADVICE: it’s worth knowing that the standard 20345 about safety shoes requires all safety footwear to be subject to a test, to make sure that the energy absorption in the heel area is sufficient. The minimal accepted value is 20J. Each model gets a value, which is the result of such test, but often it is not displayed on the label. However, you can ask your favorite seller for the model with the best energy absorption in the heel area. 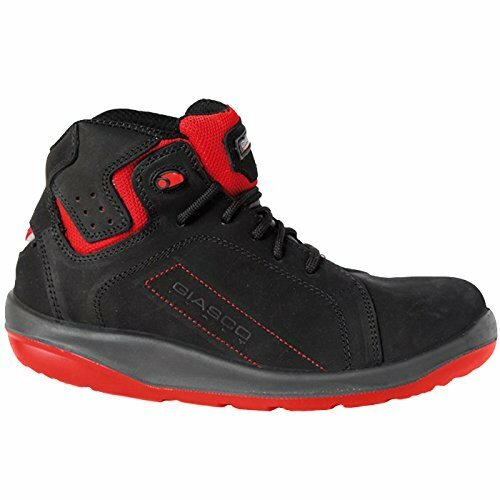 The structure and the materials of safety shoes have a strong influence on comfort. Breathability is fundamental, as well as supporting elements. Breathable materials create an ideal microclimate inside the shoe, and let sweat get out. Comfort is also given by the absence of friction and pressure points. A padded tongue will make sure there are no sharp borders nor scratchy parts. Another significant factor influencing ergonomics in safety footwear is the shape of the wearer’s feet. Leaving aside particular cases, such as malformations, what matters is the proportion between length and width. There almost always models for any length, but if you have particularly narrow or large feet, it may become slightly more challenging to find the ideal pair for you. MY ADVICE: it may be good to know that the safety shoes of certain manufacturers come in different width-sizes, in addition to length. The width is normally expressed using the Mondopoint System (read my article on the subject). If your feet are particularly wide or narrow, learning something about this may prove extremely useful for you. As you have seen, ergonomics depends on many factors, and nowadays many models of safety shoes already have at least some of the characteristics that allow for comfort and a good posture. Nevertheless, studies are constantly being carried out to provide workers all around the world better and better products. 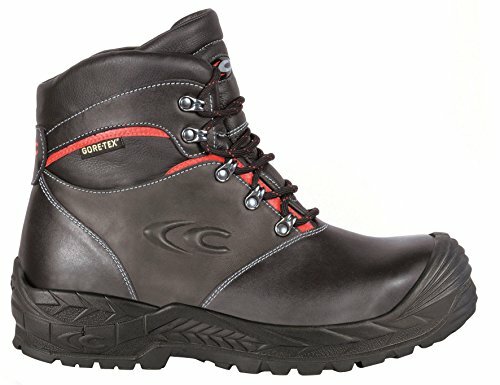 I hope that this article will prove useful for you to find the ideal pair of safety shoes for your needs, so that you can be protected at work and avoid problems. Safety shoes and ergonomics. Do you have any points to add?